Association of Missouri Electric Cooperatives was founded in 1937 with the mission of providing a means for electric cooperatives to work together and accomplish things collectively that they could not do as effectively or efficiently on their own. AMEC is a grassroots organization that works together to keep the rural electric program strong and influential in Missouri. NW Electric Power Cooperative, Inc’s mission is to provide dependable, high-quality wholesale power to meet all present and future requirements of its members. It furnishes strong leadership in marketing, community, economic development and customer service. Sierra Bullets opened in 1947 in California, but moved to Sedalia, Missouri in 1990. For over 60 years, Sierra Bullets has been dedicated to the manufacture of the most accurate bullets. 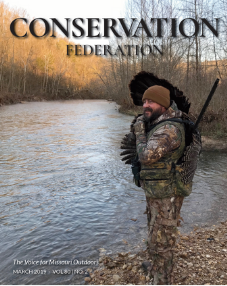 Hunting and target bullets for rifles and handguns are the only products they make, and they work hard to make the best product for their customers. The Missouri Wine and Grape Board was established in 1984 to support the research, development and promotion of Missouri grapes, wines and juices. And support it we have. Our industry now boasts an annual impact of $1.76 billion and more than 125 wineries, providing nearly 15,000 full-time jobs. Gray Manufacturing Company was founded in 1920 when J.H. Gray started his company as nothing more than a simple tire shop. Soon though, Gray began developing innovative equipment to make the heavy work easier and more efficient. By 1921 he was granted his first patent and the rest is history. Today, J.H. Gray’s tradition of quality continues. Now with approximately 200 employees, Gray Manufacturing Company, Inc. is recognized around the world for providing the highest quality shop service equipment for the automotive, truck and service vehicle industries. Black Widow Custom Bows, Inc. is a Missouri-based company well-recognized for being the best custom traditional bows on the market today. Black Widow bows are unique in design and very complex to build. Just the handle alone has up to thirty-seven glue lines (depending on the model) and requires as many man-hours to build as do most complete traditional bows being made today. Lightning fast limbs are tapered and tillered as only Black Widow bowyers know how. The result of all this effort and expertise is a bow.. a legendary bow a Black Widow bow whose smoothness, stability and speed will amaze you. Drury Hotels built their first hotel in Cape Girardeau, Missouri and their first Drury Inn in Sikeston, Missouri. For 40 years, Drury has continued to stick with the basics that helped the company grow from a small plastering business in the Bootheel of Missouri to a successful, growing system of 130 hotels in 20 states. They have been, and will continue to be 100% family owned and operated. HMI Fireplace Shops carry a vast array of fireplace and hearth products, as well as cultured stone and central vacuum systems. We offer three locations in Central Missouri to better serve you : Lake of the Ozarks, Nixa, and Rolla. Developing relationships and educating our customers is our goal. 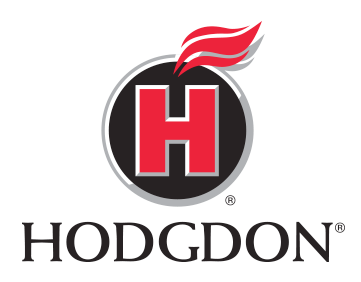 Hodgdon Powder Established in 1947 by Bruce and Amy Hodgdon, today, sons Bob and JB have grown Hodgdon Powder Company into the largest US supplier of smokeless, blackpowder and blackpowder substitute propellants. The company distributes gunpowder under the Hodgdon®, IMR®, Winchester® and Goex® brands. Burgers’ Smokehouse is a smokehouse and producer of cured and smoked meats and other foods in California, Missouri. It is one of the largest processors of naturally cured hams in the U.S. The company’s packaging says “Home of Hickory Smoked, Sugar Cured Meats since 1952”, although the family’s selling of hams by E.M. Burger and his German mother Hulda is said to go back to the 1920s.The company now sells “about 750,000 hams a year, plus bacon, sausage and a dozen other specialty meats”. POET Biorefining is one of the world’s largest producers of ethanol and other biorefined products. In addition to ethanol, they also produce products such as Dakota Gold distillers’ grains, Voila corn oil and Jive asphalt rejuvenator. POET is committed to reducing the reliance of the United States on foreign energy, to revitalizing global agriculture, and providing a cleaner, affordable alternative to fossil fuels.